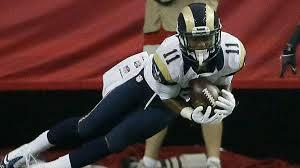 Why Tavon Austin Has Been A Bust? Tavon Austin was a phenomenal weapon for the West Virginia Mountaineers high octane offense that was run by NFL rookie Geno Smith. The Spread offensive system run by Coach Holgorsen was perfect for Austin because it allowed him to make plays in space. It spread out the offense leaving tons of room for Tavon to juke defenders left and right. Austin totaled 2745 multi-purpose yards and 16 touchdowns last season as a Mountaineer and it was for plays like this that accounted for him to be heavily scouted. Austin was originally projected to be drafted near the end of the first round, but quickly rose into the top 10 after he put on a show at his NFL pro day and again at the NFL draft combine. He tied for the fastest 40 yard dash time with Cordarelle Patterson at 4.25 seconds. 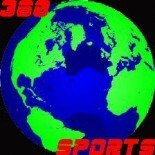 Here is a video of this impressive 40-yard dash. Tavon Austin really impressed scouts in his versatility. 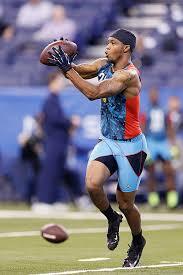 He was explosive in the return game, had great skill in the receiving game, and was a good 3DRB when he was needed. He had the explosiveness of Reggie Bush, but had the receiving skills of Wes Welker. He was everything you needed in creating a dynamic playmaker. Part of the reason, he was so versatile, however, was how good his system was for him. If he wasn’t put in such a great offensive system, could be nearly as good? That is the question. Tavon was drafted by the Rams with the 8th pick in the first round this season. Everybody thought that this finally gave Sam Bradford the weapon he needed to live up to the expectations after leaving Oklahoma as the first overall draft pick, however, there was one obstacle in the way. This obstacle is Brian Schottenheimer. Schottenheimer was the former offensive coordinator of the New York Jets, who completely ruined young quarterback Mark Sanchez. Schottenheimer or “Schotty” brought along a pass heavy offense to the Rams, which didn’t bode well for the team in year one. 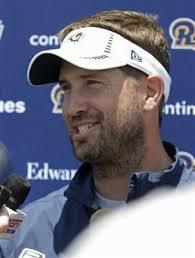 In year two, the Rams organization thought that the pass heavy offense would work because they added offensive talents like Tavon Austin and vertical-threat tight end Jared Cook. The Rams apparently were wrong. They should have realized that a player like Sam Bradford isn’t meant to be in an offense built for Peyton Manning. With Sam Bradford out for the year, it looks as if Tavon Austin is probably going to finish with the most dissapointing season out of all of the rookies. If Tavon Austin were to change teams, I believe that he would excel because he has so much versatility that only a terrible offensive coordinator like Schotty can misuse a huge talent like this. This entry was posted on October 28, 2013 by Dylan Bernstein in Analysis, Fantasy Sports, NFL, Uncategorized and tagged 8th pick, brett holgorsen, Brian Schottenheimer, Brian Schottenheimer is terrible, Bust, college, college football, College Superstar, Cordarelle Patterson, espn, fantasy football, fantasy football busts, Fantasy Football waiver wire, Fastest wide receivers in the league, First Round of the NFL Draft, Fisher, Geno Smith, Heisman, holgorsen, Los Angeles Rams, misused, Mountaineers, NCAA, NFL, NFL Draft, NFL fantasy, nfl fantasy busts, Offensive Coordinator, Overrated, REggie Bush, Running Back, Sam Bradford, Spread Offense, St. Louis Rams, Tavon Austin, Tavon Austin Rams, Tavon Austin West Virginia, terrible draft pick, Versatility, Week 8, West Virginia Mountaineers, Wide Receiver.